Dehumidifier installation can boost your comfort and health by improving the air quality in your home. A dehumidifier prevents mold and rot by removing excess moisture from the air. 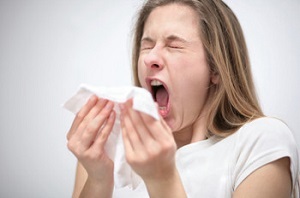 If not addressed, airborne mold spores and dust mites can aggravate allergies and asthma. Mold and dust mites caused by moisture can trigger allergies and asthma. If you have any of these symptoms in your home, contact Dr. Energy Saver today. Our experts can assess your situation to determine if dehumidifier installation is the best solution. When warm, humid air comes in contact with a cool surface, the moisture condenses into water. Water can seep into your home through cracks in the foundation or gaps around windows. Water can also come from a leaky water pipe, toilet or shower. Activities such as cooking, bathing and clothes drying can also add moisture to the air. Cold basement walls and uninsulated ducts and pipes are common places for condensation to form. In crawl spaces, moisture can rot wood floor joists and attract insects. Basements and crawl spaces are common sources of moisture problems in many homes. The basement or crawl space is part of the inside of a building as a whole. If there is high humidity and musty odors downstairs, this will affect the upstairs environment. It's important to stop outside air from getting into your basement before installing a dehumidifier. Once air and duct leaks have been sealed, we recommend installing a dehumidifier to keep your air dry and ensure mold won't grow. The ENERGY STAR rated SaniDry products offer efficiency, high-performance, filtration and automatic drainage. The energy performance of a dehumidifier is measured by the amount of water removed from the air every hour compared to how much energy it uses to run. ENERGY STAR certified models are at least 15% more efficient than standard dehumidifiers. SaniDry dehumidifiers are Dr. Energy Saver's top choice among ENERGY STAR certified dehumidifiers. 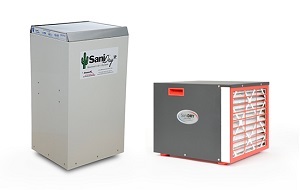 SaniDry offers two models: the SaniDry Sedona and the SaniDry XP. Both systems deliver powerful humidity control and air filtration, eliminating damp, musty conditions in your basement or crawl space. Dr. Energy Saver has been delivering home comfort and air quality solutions for nearly a decade. Our industry-leading contractors install dehumidifiers and other products from top brands, so you can trust that you're getting the best solution for your home. Contact your local Dr. Energy Saver dealer today to request an in-home consultation and estimate.